On the top of our building, overlooking the city, you can book one, two or three bedroom suite. Carved wooden cilings, confortable living area, whole corner balconies, beautiful gardens, totaly private. 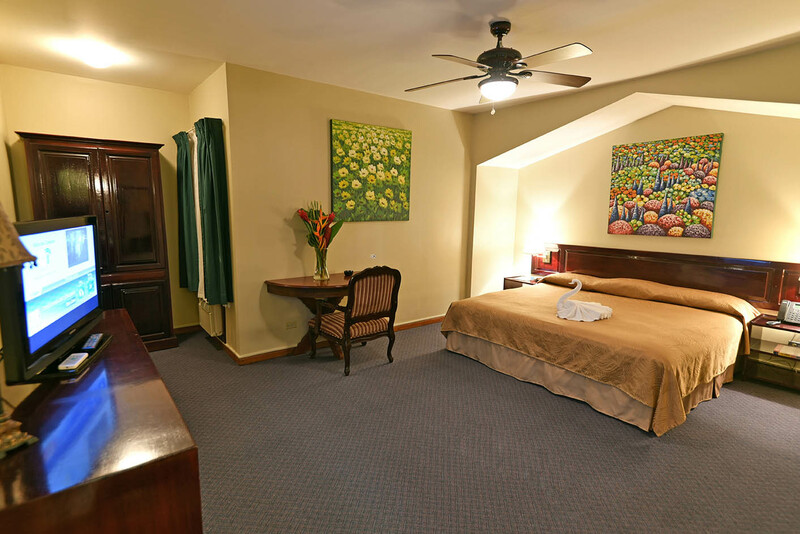 This room will take your stay unforgettable. King size bed, air conditioning, celing fan, hot water, safe deposit box, minibar, flatscreen TV with over 40 channels in English, WiFi.